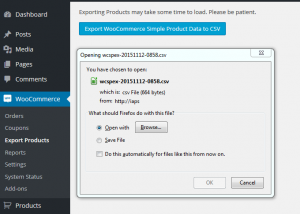 1-button click to export all woocommerce simple product data into a comma separated value (csv) file. WooCommerce Product Info: sku, length, width, height, weight, regular_price, sale_price, price, sold_individually, backorders, featured, manage_stock, stock, stock_status, tax_class, tax_status, virtual, visibility, related, cross_sells, upsells, review_count, shipping_class, tags, lang, categories (eg. Category1 > SubCategory1 > SubSubCategory1 | Category2 > SubCategory2 | …), product_type, permalink, image. WooCommerce Product Attributes: grabs all custom attributes using wc_get_attribute_taxonomy_names(). WordPress Post Data: all wp_post fields are included. Do you fully support WooCommerce Grouped, External/Affiliate or Variable products? Not at this time. 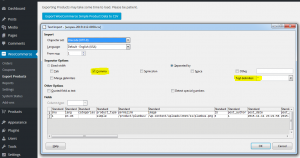 Are there any delimiting options for the csv file that’s generated? No. The fputcsv() PHP function provides the best defaults so exported csv files can be easily opened in Excel, LibreOffice and OpenOffice. What file encoding is used? UTF-8. 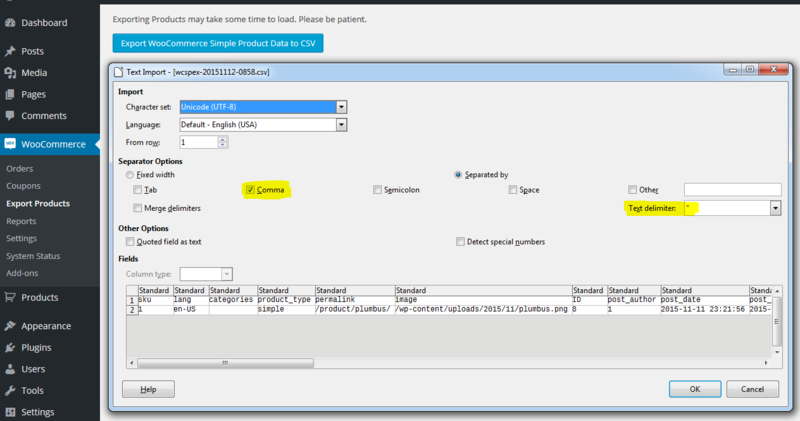 Ensure this encoding is selected when opening the exported file(s) in your spreadsheet program (see Screenshot #2). Are WooCoomerce Gallery images supported? Not yet, but will be implemented if enough people (1+) request it. 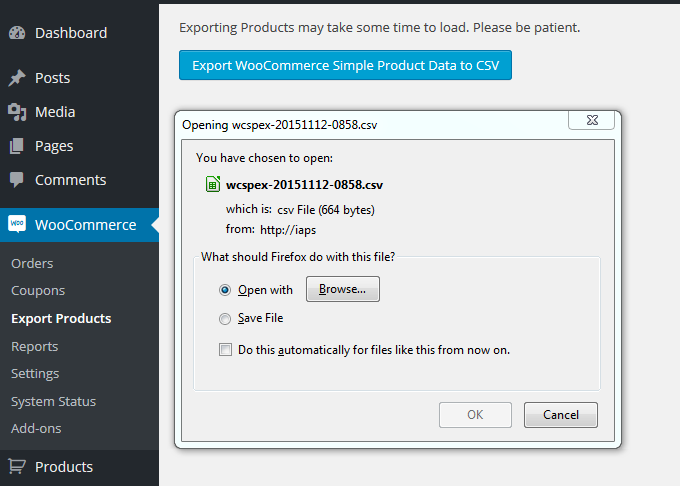 After installation, go to WooCommerce > Export Products > click the button to start the export. Open the downloaded file in your favorite spreadsheet program. Ensure that only “Comma” is selected as a field separator, and that “Text delimiter” is set to a double-quote. 1.1: The ‘lang’ field now uses the following hierarchy to determine the value: WPML > PolyLang > Blog Language.